This distinctive building in the historic town of Yarmouth is home to Forresters, a lovely restaurant and wine bar. 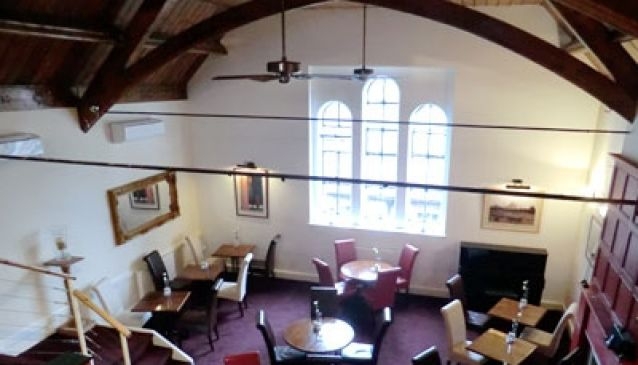 Since it was first built in 1874, the building has been used as a meeting hall for The Ancient Order of Forresters, an active society in the local community, later as a boat builders and more recently has taken on the guise of various types of restaurants. Some of the exclusive services Forresters offers include a catering service for any occasion and many jams and chutneys on sale to take home with you. Tucked away on a Yarmouth side street, this eatery is open for lunch, Tuesday to Sunday from 12pm, and dinner, Tuesday to Saturday from 6pm. Forresters offers an excellent variety of menus for their lunch and dinner servings and a lovely atmosphere in a unique environment.